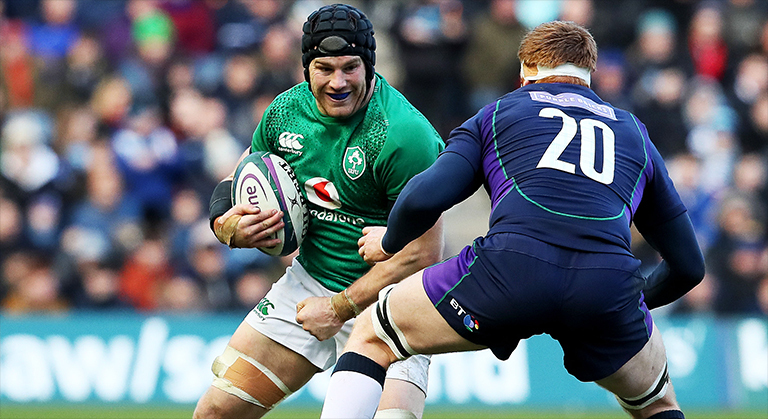 News broke late last week that Leinster and Ireland back-row Sean O’Brien will join London Irish at the end of the season, putting his international future at risk. While O’Brien is likely to be retained until after the Rugby World Cup, the chances of him being picked beyond that are slim. While Ireland have no official policy, players that ply their trade abroad are generally overlooked. If he is indeed omitted, he won’t just be missed on the pitch – but off it too. Ronan O’Gara was asked about O’Brien over the weekend while on punditry for Virgin Media and he couldn’t speak highly enough of the Leinster man. O’Gara called O’Brien a “legend” and credited him with “uniting” the entire Ireland squad due to his popularity and ability to get on with everyone in the squad. “I think he has a massive general presence in a squad.” O’Gara said. “He’s a guy that even though he drives standards in Leinster, when he was in Irish camp he kind of united the squad. He was really popular with non-Leinster members as well. And he made us a really tight group. "Legend is the most overused word in sport, but I genuinely think he's in that category."